Money makes the world go ‘round. Money is necessary for getting ahead, or just catching up. Money is also one of the most heated topics in a divorce. It is not uncommon for couples to file for divorce because of certain irreparable differences or circumstances, only to find out during the process that a spouse has also incurred a substantial amount of debt. This often grieves the other partner, learning a great deal of the time that this debt was often incurred during an adulterous affair or through other solicitous actions. 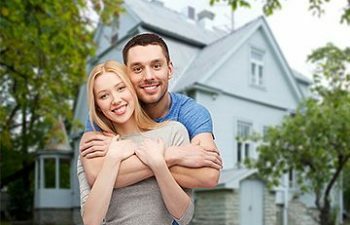 Georgia is an Equitable Distribution State, which means that debt incurred by one spouse are that spouse’s alone. Yet, this is not as clear cut as many divorcing couples want it to be. The most common instance that we see is when one partner has opened up one (or multiple) credit cards without the other spouse knowing. If both spouses’ names were on an account, or if a creditor considered both spouse’s credit information before opening an account or making a loan, then this debt is considered to be “jointly undertaken” and both spouses will be held responsible for paying it off. At Boudreaux Law Firm, we understand how upsetting this can be for the spouse who was not responsible for racking up the debt. Filing for divorce is an emotional decision, especially when there are issues of infidelity and broken trust involved. Finding out that your spouse has also incurred a large amount of debt that you may now be responsible for can be overwhelming. At Boudreaux Law Firm in Augusta, Georgia, we have an experienced divorce lawyer who provides compassionate support and knowledgeable legal guidance. Making the decision to have a skilled divorce lawyer is one of the most important decisions you can make during your divorce when it comes to protecting your financial security and future. Boudreaux Law Firm is committed to advocating for your best interests. Contact us today. Use Care with Fall Clean Up!